The Methven story began in New Zealand in 1886, as a producer of brass and iron hardware. 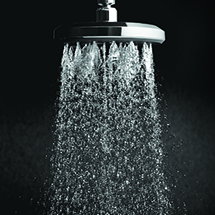 Today, Methven is New Zealand’s largest supplier and a leading designer of distinctive showers, tapware and hot-water valves to home renovators, plumbers and the construction industry. Their design team is driven by a desire to maximise water as a vital resource. A focus that has been recognised with a host of global awards for design, innovation, water conservation and the special experience our customers have with our products.